The survey is for youth and young adults (age 14-21) who’ve experienced out of home placement between 2016 and now, through either child welfare or juvenile probation. Youth will be asked about their experiences of normalcy in their current or most recent foster care or group home placement. In order to participate, a youth will need access to the online survey through a computer or smartphone, and an email is required in order to receive the digital gift card. The survey is open March 29th to April 30th. The governor will sign the proclamation naming May as Foster Care Month in Nebraska. Immediately following the ceremony we will have an open house/lunch at our office. We would love to have you come. Please RSVP! We believe we are better together! We know that children grow best in families! Foster families provide an essential and valuable service when children are unable to remain in their own homes. We want foster families to foster families! We want foster families to engage in supporting biological families in their reunification process. We want foster families to teach biological families how to engage their children while instilling good character and values such as respect, trustworthiness, responsibility, fairness, and caring. We want you to be a member of the team and we recognize the knowledge you bring to the team process. We are encouraging our Children and Family Support Specialists to ensure that foster families are invited to participate in the child and family team meetings. 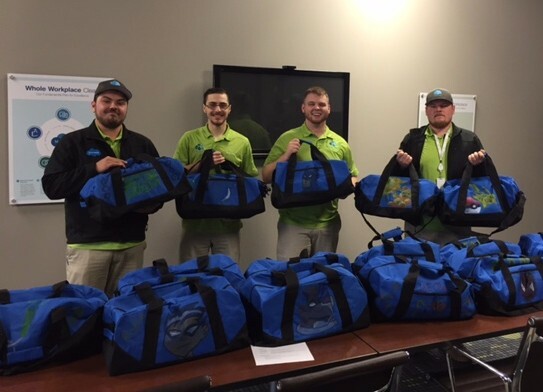 We believe at a minimum it is essential that you provide information on how the kids are doing in your home and what they need to be supported from the team. A parent may choose to excuse you from the child and family team meeting once this discussion concludes and that is okay. We need to respect their decision-making on what to share with you about themselves. We are excited to have additional collaboration and success as the team supports one another. Do you know a girl that is in foster care that would like to be a girl scout? Girl Scouts has partnered with the Department of Health and Human Services to offer free registration to girls in foster care. They also stated that they may pay for or have a reduced cost for uniforms (not every troop decided to get uniforms). This generous opportunity will also continue for future years even when they return home. Please contact our office for the necessary forms. News Link Makes Donation to NFAPA! 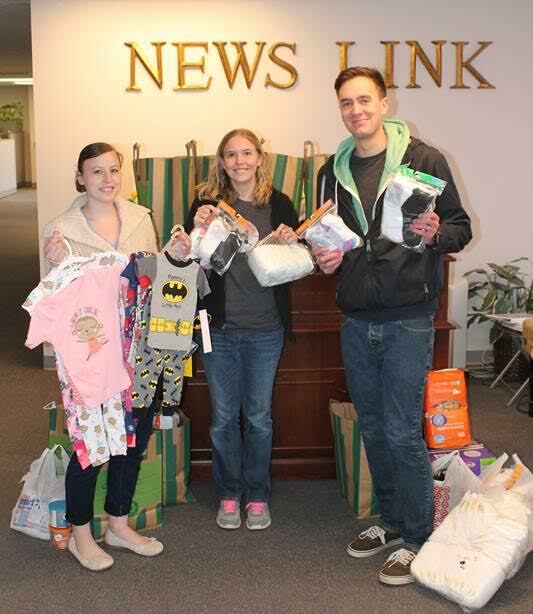 Thank you to News Link for their generous donation. 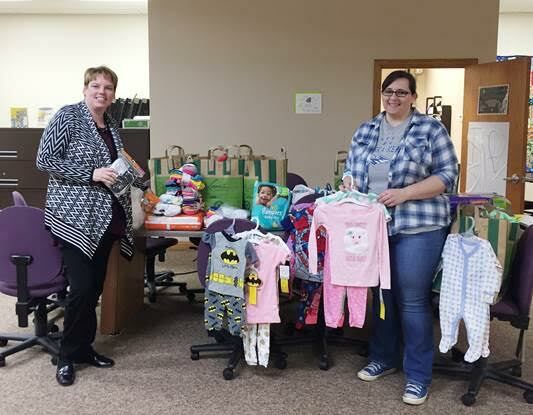 In total News Link employees donated 440 diapers, 279 pairs of socks, 113 pairs of underwear, 27 sets of pajama and many other items. All of these will go to children in foster care that often come into care with nothing. A CHANCE TO GET INVOLVED! The Foster Care Review Office (FCRO) is looking for interested persons that would like to be a local board member in Lincoln or Omaha. Board members review the cases of children placed in out-of-home foster care and are required to attend their board meeting once per month. People who can serve on a day board are especially needed, however those who can serve on a board that meets in the evening are also needed. Please contact Mary Furnas at mary.furnas@nebraska.gov or call 402-471-4665 for more information. 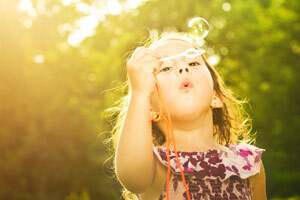 Does your foster child want to be like normal kids? Does he/she like to participate in sports, or needs money for drivers education? Does your kiddo like to attend summer camps, take swimming lessons but you, as a foster parent, have limited funds? You will find more information on Nebraska Friends of Foster Children. By filling out the application on our website you can apply for a grant to help fund your foster child’s activities. You can submit it online or mail the application. The mission of NFFC is to provide for unmet needs and enhance opportunities for foster children in Nebraska. NFFC is a non-profit organization, was founded in 1992, to improve the lives of foster children by accepting and funding requests for items and experiences normally out of reach for foster parents with limited budgets. As can be imagined, the cost of “extras” such as band uniforms, football shoes, summer camp and music lessons exceed the monthly stipend. While foster families are traditionally giving in nature, they still may not have the resources available to them to offer their foster child any of the additional “extras” that enhance their quality of life, build character and offer life-changing experiences. This is not a complete list but NFFC will fund the ”extras” to enhance your foster child’s life within our guidelines. 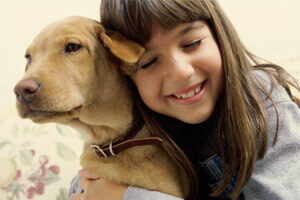 The form is simple and can be filled out by the foster parent. It DOES NOT NEED YOUR CASE WORKER OR FOSTER CARE SPEICIALIST signature. Receipts do need to be included or we can write a check to the organization that you are requiring assistance from without a receipt. The application can be mailed or sent online. The application will be processed in 4-6 weeks. Once again the Nebraska Game and Parks Commission has issued DHHS a permit to take wards of the state fishing on a group basis for therapeutic purposes. The permit is for wards 16 and over. The person who is accompanying the ward must have their own permit (which we do not provide) if they are actively fishing. The permit is not for wards to go fishing by themselves. If the wards are under 16 they do not need a fishing permit. Click here for a copy of the permit.